Seattle is famous for its waterways and breathtaking views. But it’s not enough just to view them – experience them from aboard a boat tour or sightseeing cruise. From the silly to the romantic and everything in between, your perfect boat tour experience is waiting for you. 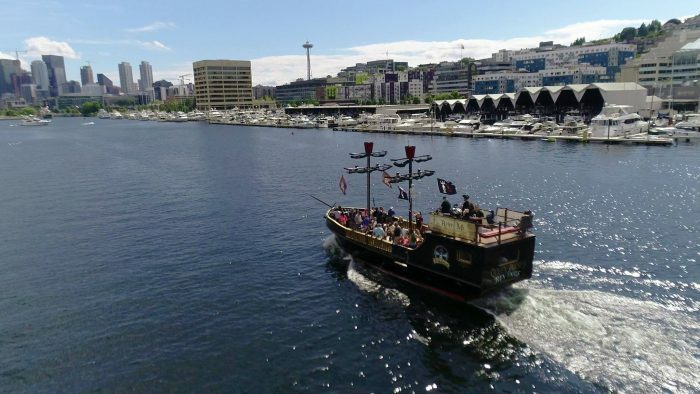 At Emerald City Pirates, we provide an unique twist on the typical boat tour via Seattle’s only Pirate Ship – ‘Queen Anne’s Revenge.’ There is something special about cruising down South Lake Union and Lake Washington aboard our beautiful pirate ship. To book your cruise simply click here. Set sail on a one-of-a-kind journey as you and your loved ones (swashbucklers of every age) search for treasure and adventure, play games, and learn to talk like a pirate – all aboard the storied pirate ship, Queen Anne’s Revenge. Cruise along the waters of Lake Union for 60 minutes as you fire the ship’s water cannons and defend the ship’s honor. Bringing kids along? 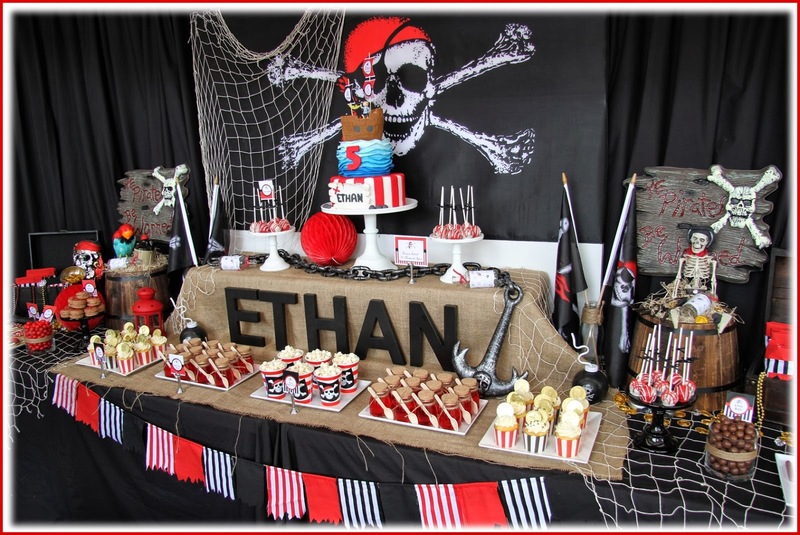 Each child will receive their choice of one item from the ship’s treasure chest. The ship’s store is stocked with additional pirate swag, snacks and non-alcoholic beverages. These narrated sightseeing scenic cruises (lasting form 1-4 hours) set sail from the docks of Pier 55 (for Puget Sound tours), Lake Union, and Kirkland (for Lake Washington). The longest Seattle boat tour travels the Puget Sound to Tillicum Village on Blake Island, where you’ll enjoy a salmon dinner and Native-themed entertainment. Looking for seasonal and special-event cruises? Argosy cruises special events on the sea include the Christmas Ship Festival, dinner and brunch cruises, and mystery dinners. Scenic cruises aboard sleep modern yachts and great food. Take in the amazing views of Seattle – a few special cruises also leave from Shilshole Marina to view the scenic Puget Sound and to travel to island destinations. Waterways offers regularly scheduled dinner cruises on both Lake Washington and Lake Union. Lunch, brunch, and BBQ are other popular choices. Want to design your own perfect boat tour on Puget Sound, Lake Union, and/or Lake Washington, all on a luxurious bridge deck cruiser? Enchantress offers romantic sunset couples cruises, four-hour dinner cruises, full-day family fun, and just about anything in-between. Picture this: a classic wooden yacht cruising the pristine waters of Puget Sound and Lake Washington. Cedarwave offers old-fashioned picnic tours and leisure sightseeing cruises around Seattle and the Islands of Puget Sound. Return to the old days with a private charter boat adventure that harkens back to the early days of yachting. Quiet and comfortable and easy to drive, float along for a leisurely 2- to 4-hour cruise around Lake Union. Don’t forget to pack a picnic! Tour Lake Union and surrounding areas, take in views of the space needle and sweeping skylines – all from the comfort of a hot tub. Between two and six people can participate. Duck tours are festive and unforgettable. After all, when was the last time you traveled on both land and water in amphibious vehicles? Enjoy the Ride the Duck captains’ witty narration as they drive past top Seattle sights like the Space Needle, the Downtown Waterfront, Pike Place Market, Pioneer Square, the spectacular city skyline, Gasworks Park, and the famous house boats. From March to September, go on a two-hour tour of the Emerald City’s important lakes, Lake Union and Lake Washington. Guests hear a live narration about points of interest and fascinating historical facts, including Seattle’s historic houseboat community, homes of Seattle’s rich and famous, views of Mount Rainier and surrounding mountain ranges, and more. Discover the sights and sounds of Seattle from the water. You’ll see the spectacular background of the Cascade and Olympic mountain ranges on this 2.5-hour narrated cruise along Ballard Locks, one of the the city’s most popular tourist attractions. You can also buy food and beverages right onboard the boat. Go Seattle sightseeing by water with Ledger Marine Charters. This boat tour mainstay dates back to 1947, and runs a variety of guided yacht and day charters (from 40-foot to 175-foot vessels) for sightseeing excursions around Puget Sound. If you’re an experienced sailor, Ledger Marine also offers boats for experienced sailors for you to take out on the water, sans crew. Party pirates ages 21 and up are invited to come dance their hearts out aboard Queen Anne’s Revenge. Set sail down the Lake Washington Ship Canal and into Lake Union on our 60-minute cruise. Fire the ship’s water cannons and defend the ship’s honor. 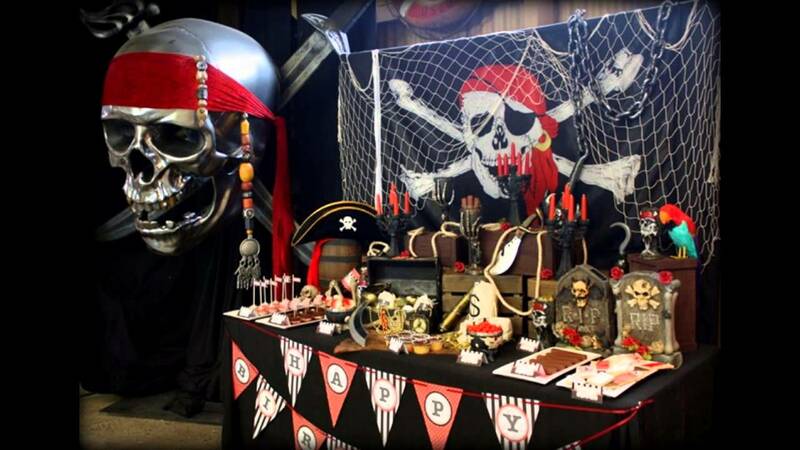 There will be games galore, and contests including nightly prizes for the Best-Dressed Pirate. The merry pirates onboard make sure there’s never a dull moment on these interactive cruises. Get ready to see a side of your friends, family, or colleagues you’ve never seen before!